AccessLatina, a non-for-profit organization pioneering entrepreneurial growth for women, announced the launch of the first-ever multi-market accelerator program developed to reach one of America’s fastest growing populations – Latinas – in STEAM, social innovation and agriculture. The accelerator was launched by two female entrepreneurs: Lucienne Gigante and Marta Michelle Colón. It is open to Latinas who own businesses headquartered in New York, Washington, DC, Florida, and Puerto Rico, focused on STEAM, social innovation, or the agricultural industry and doing business for at least three years and it aims to provide capital injection and resource investment to women-owned businesses with high-growth potential through a yearly competition for which applications are being accepted at www.accesslatina.org. Ten finalists will be chosen by more than 40 judges participating in the accelerator, which comprises three modules provided by top professors and experts on topics including management, sales, marketing, investors, business plans, and mentoring sessions. AccessLatina will provide capital to Latina entrepreneurs, including a $25,000 grant and a crowdfunding round, advanced education, publicity, mentoring and access to a high-profile network of professionals, other entrepreneurs and investors. Women-owned businesses generate more than $1.4 trillion in revenue and employ more than 7.9 million people. Latinas are paving the way by opening businesses six to one above other market segments, proving to be key to unleashing the potential of the American economy. “Studies show that Latina business owners have a startup rate of six times the national average. Latinas hold amazing possibilities to create employment, exports and continue to significantly impact the economy,” said Marta Michelle Colón, co-founder of AccessLatina. 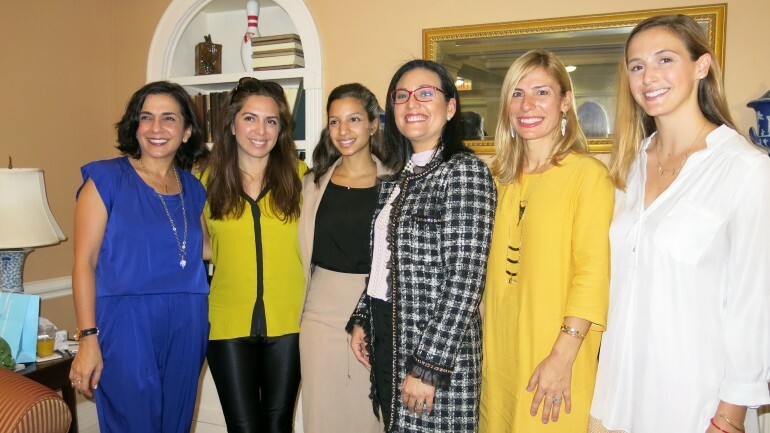 AccessLatina is supported by McDonough Graduate School of Business of Georgetown University, Kiva Zip, Athena Center for Leadership Studies at Barnard College, Golden Seeds, Guayacán, the Manhattan Chamber of Commerce, Oriental Bank, and Stanford Latino Entrepreneurship Initiative, among others, and consists of a group of dedicated social and business entrepreneurs.